Over the next few weeks starting on Monday, I will be doing a series called “Setting The Moral Compass”. Every Wednesday, a week from the first post, I will be posting on different influences that mold our way of thinking when it comes to setting our personal moral compass. My intentions of writing this series is to share how I have set my own personal compass. Also to share with you the influences that have either helped or swayed my settings. 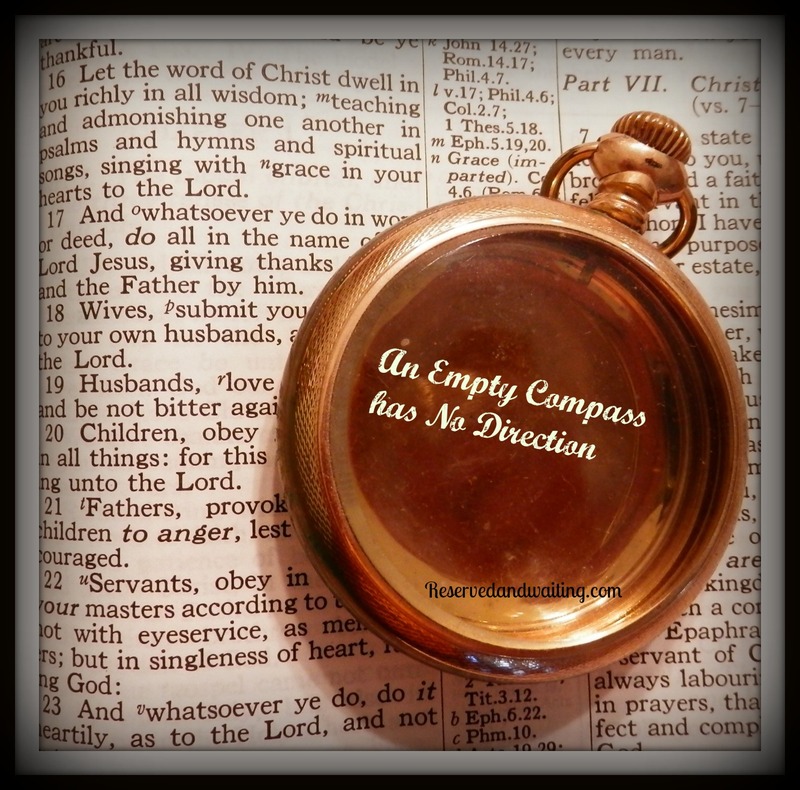 My prayer for you is that you will find encouragement on setting your compass allowing God to be your guide. I fully believe as followers of Christ, we should look to Him for guidance. He gives us guidance through Scriptures and by having a personal relationship with Him. Each week I will be asking the same question, What has influenced the setting of your moral compass? I would love to hear from you. Please share as your comments are welcomed. A moral compass is defined as anything which serves to guide a person’s decision based on morals and virtues. When I hear the words morals and virtues, I process them as this. When I set principles to live by, then my behavior along with my character should reflect those principles that I have set. Let me explain why I said we should look to God for guidance. He created us. He has plans for us. So why wouldn’t we look to Him for guidance? Do you think He would lead us into harms way? He loves us more than you or I could ever possibly imagine. Everything we need for setting our moral compass is right there in your Bible. It is waiting for us to hear and then apply it to our lives. When something in scripture is revealed to us that we don’t really want to hear. We tend to shy away from those passages but they are there for a reason. God wants to tell us something that we need to hear and follow. We can not take bits and pieces of the Bible, only follow those that please us and then expect God to fully reward us. It doesn’t work that way. His instructions for our life are far better than the rules and regulations the world places on use. As we dig deeper into this series, we will see how the different influences mold our way of thinking on setting our moral compass. Here is how you can be part of this series. Share your answer to the question that I proposed? What has influenced the setting of your moral compass?